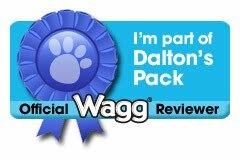 There is so much patriotic memorabilia around at the moment, the whole country seems to be sporting Red, White and Blue at every opportunity and I love it! 2012 seems to be a great year for all things British, although the weather is classically British with rain not seeming to want to let up, and the recession making everyone somewhat gloomy, the thought of celebrations and national pride lifts the spirits slightly. With the Olympics in London this year and the Queens Jubilee theres plenty of reasons to think about our country and teach the children a little more about the place we live. 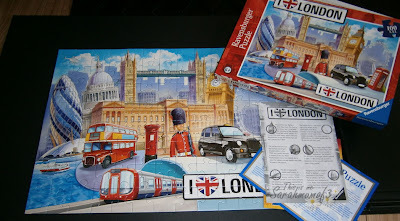 So when Ravensburger sent us the London Puzzle to have a look at I was thrilled. 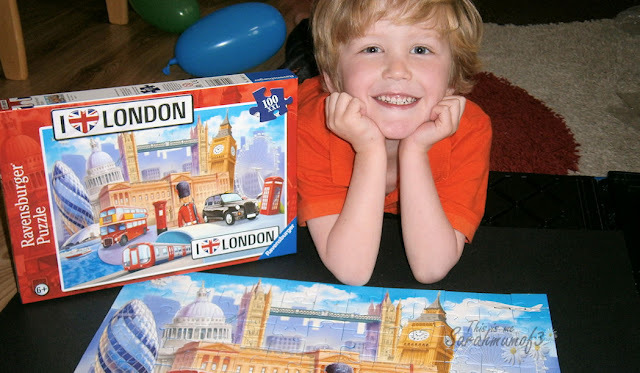 My children have never been to London, it is on our to do list, and this puzzle has a lovely design showing some of the most iconic symbols that represent Britains capital city. With Big Ben, the London Eye, the 02 stadium Tower bridge and classics such as Black Cabs and Telephone boxes this puzzle really does have a very British feel to it. 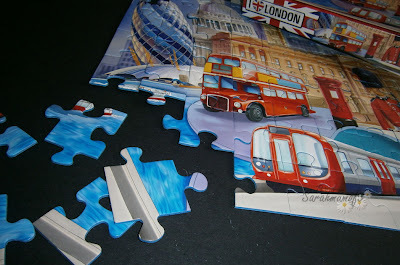 Aimed at children aged 6 and above, with 100 pieces in the high ravensburger quality the puzzle is perfect for all school aged children, along with the beautifully illustrated puzzle you get a informative fact sheet, outlining some facts about the images, such as St Pauls Cathedral was designed by Sir Christopher Wren to replace a church destroyed in the Great Fire of London and there are about 21,000 back taxis on Londons streets, which makes this not only a lovely puzzle which is easy to complete with the bold colours and recognisable images but also an educational talking point, perfect for anyone who wants to encourage their children to learn alittle bit more about the amazing country we live in. Be sure to check out the Ravensburger Puzzle Club blog to see other reviews, or follow them on Twitter to be kept updated with reviews and competitions!